No worries. The game can be crazy involved. Will be on tonight. Hopped off for the evening. Will be on tomorrow for a longer game session. Tried a warrior over a wizard. Felt a bit more fun. Need to remap the controls to feel a bit more fluid. Maybe use the paddles on the elite. they are having another open beta before launch. 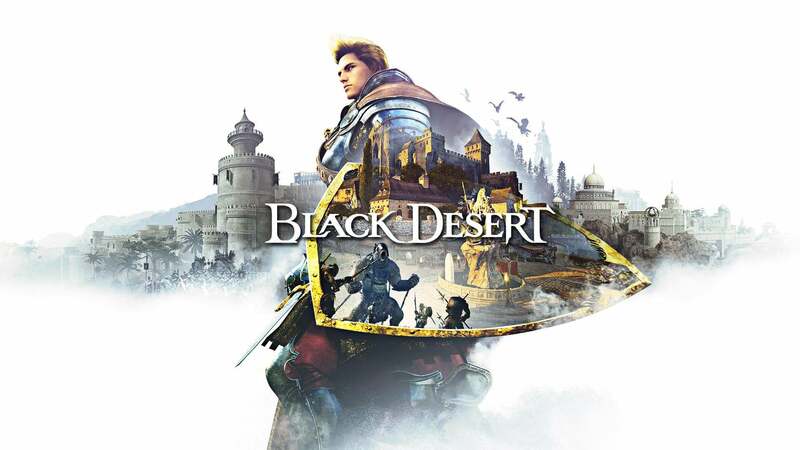 Developer PearlAbyss is giving players one last chance to try out the upcoming MMORPG Black Desert before its launch next month. 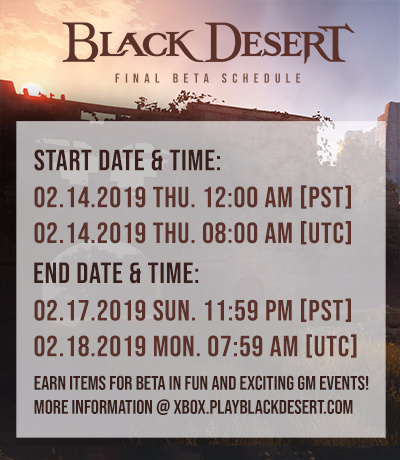 An open beta is available to pre-download now, and it will run from February 14th to February 17th in North America and European regions. Players will be able to explore the first two areas of the game, Balenos and Serendia, with any of of the following classes: Berserker, Ranger, Sorceress, Warrior, Witch and Wizard. Choose wisely, as there will be a test for the Node War PvP system during this beta. A few improvements have been made since the first beta, including the addition of trading, a more polished UI, and graphical upgrades. A wide variety of special events will also take place during this beta period. Anyone planning on playing when the game launches? I’ve been waiting for this to come to Xbox. i have been toying with the idea because i played so much on PC. But it would mean basically dropping all other games. Right now my deck is stacked with COD, APEX and Anthem. with a possible Div2 purchase on the horizon. Like Grex I would like to but it is such a huge grind that I would have to step away from Atlas and well that isn’t happening for at least another 600 hours. Currently 400 hours in. For those of you just starting you are in for a treat. The game is interesting and plenty to do. Ya just gotta no life it to get anything done.